AmTech International is a specialty OEM planetary gear drive manufacturer. We have an extensive list of customers in the agricultural, construction, automotive, marine, mining and other industries. Applications for these durable planetary drives include conveyers, cranes, crawlers, excavators, road rollers, track vehicles, winches and many others. 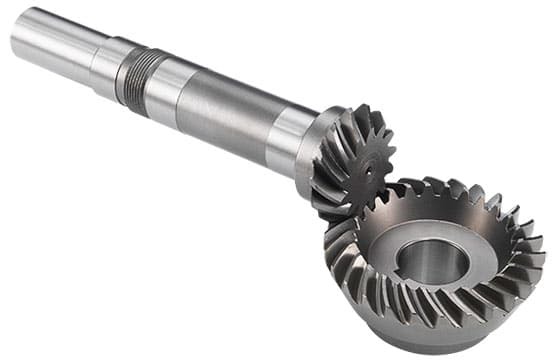 By focusing on being an industry leading Planet gear manufacturer, as well as a supplier of custom-built gearboxes, we are always improving geometrical accuracy of tooth profiles. The proper capabilities and TS16949 approved resources to support them, are selected by our solutions-focused approach team. The common goal among our team is to satisfy customer requirements in the most efficiently and effectively method. Whether for individual planetary drives or full gearbox assemblies, we work in a business where precision, reliability and superior products are mandatory for our customers, and we have the expertise in personnel, investment in machinery and standard systems. We perform most of our engineering and manufacturer processes in-house which serves to help control lead times and improve “QC”. Our in-house heat treating capability, for example, mean we are uniquely positioned to produce carburized / hardened ground gears that meet customer requirements. Our team’s manufacturing experience in heat treating gears ensures we have the capability to supply a custom manufacturing product from concept to development. The end goal is to move from RFQ stage to Sample Stage and finally Production in a rapid scenario without compromising quality. The planet’s rotational wheels in these drives are typically fixed at 120 degrees apart, guiding the load equilibrium. This results in the creation of a zero force or perfectly neutral force inside the gearing parts. This further results in very low wear and high shock loading capacity. The unique gearing set-up of these various custom drives are produced by specialized engineering capabilities. As tier one suppliers, each customer has different print requirements – ability to deliver high torque capacities, high reduction ratios and compact size efficiency. Planetary gear sets or gearboxes are normally manufactured for heavy duty applications. Typically, these OEM applications include heavy, high-torque loads, especially when a small footprint is specified. The gearboxes are manufactured from forged, cast or fully machined carriers that has more strength than 3-piece carriers of the same grade. AmTech can manufacture these engineered components with torque ratings up to one million ft-lbs.